Japan’s public pension fund, the biggest of its kind in the world, said on Friday it lost more than $ 135 billion in a record quarterly loss caused by a global stocks rout. 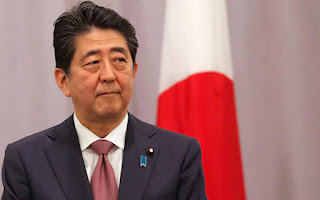 The Government Pension Investment Fund said its losses in the month of October-December totalled 9.1 per cent, or 14.8 trillion yen ($135.8 billion). “During the October-December quarter, due to concerns over uncertain global economic and corporate outlook, global investors’ risk aversion heightened and domestic and international stocks fell sharply, ”fund president Norihiro Takahashi said in a statement. He added, however, that the fund was a long-term investor and makes on average 2.73 -percent profit a year. The Japanese fund is worth more than 150 trillion yen.